The title track coupled with two companion tunes " Matador " and " Ballad of The Hangman " represents a collaboration with Halifax based production team Charles Austin/Graeme Campbell (Buck 65, Aqua Alta). 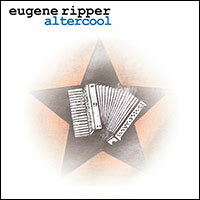 At the heart of the work is a nine minute spoken word, beat driven, sonic dedication to the memory of Ripper's musical friend and collaborator Walter Kuhr, a New York based composer, bandleader and accordion guru who passed away in 2015 after battling cancer. appears on " Queen Street 1987 " playing drums and bongos. 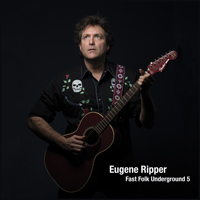 "Since his time in '80s punk faves Stark Naked and The Fleshtones, Eugene Ripper has transformed himself into a top-notch alt-folk singer/songwriter. His Fast Folk Underground series has had residencies in NYC, Halifax and Vancouver. His rollicking, garage-rock influenced sound is altered significantly on this thoughtful and poetically intense fifth album - lovely stuff." FROM THE FAST FOLK UNDERGROUND"
"One of Canada's most respected but underexposed songwriters."